About Us – Mold Vision Inc. In 1998, Mold Vision Inc. was established and created by Charles Premananthan. His mission was clear: to build a highly skilled team that is capable of building a consistent product for the customer. Their expertise in blow mold design and manufacturing has contributed to a successful growth of the company for over 20 years. So what sets us apart from the competition? Our primary focus is on the customer and what their needs are. We value communication in a sense that we listen carefully so that any concerns or questions are answered professionally and promptly. 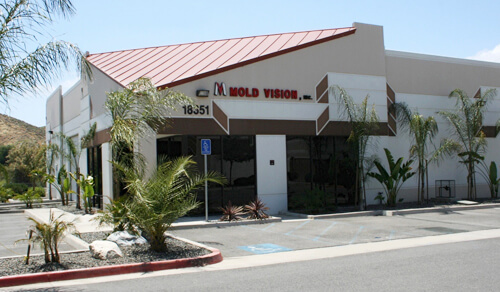 We at Mold Vision honor the trust that our customers place in us and keep all the information provided by the customer with total confidentiality. Our customers are assured that their project will receive personal attention throughout the entire process. This is the way Mold Vision develops a long-term relationship with our customers and why they know that they can rely on us for years to come. Mold Vision, Inc is a customer friendly organization. At any stage of the project a customer can visit or call to find out the status of the job. A key part of our organization is our employees. We understand that in order to ship a quality product we have to have a good team of motivated and highly trained employees. We have created a desirable working environment for our employees so when they are hired and trained they will have the opportunity to stay and grow with us. In fact, over 90 % of our employees are veterans of Mold Vision. We appreciate their had work and we are continuously finding ways to improve their well being.